Vintage locomotive drawing from a trade magazine. 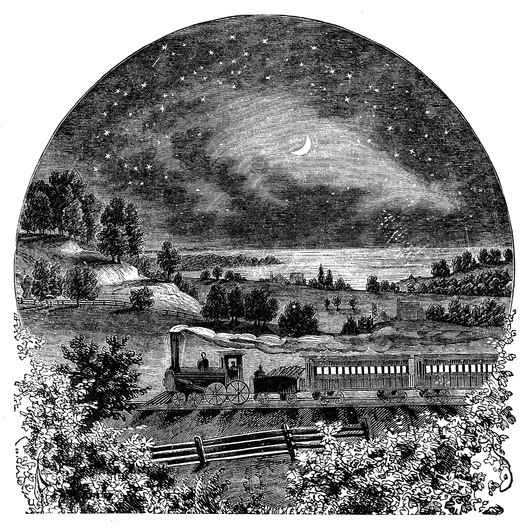 The Cincinnati Locomotive Works was advertising their machines in a trade journal from 1853. Prior to 1861, they produced around 150 engines. 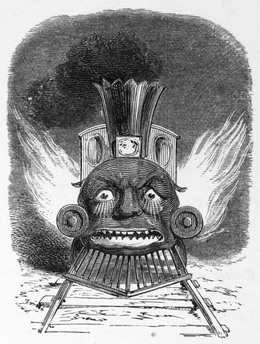 (According to a website dedicated to Confederate States of America Locomotives.) Another article mentioned that while some of their locomotives were used during the war, none were commissioned by either side. They built their last locomotives in 1864. 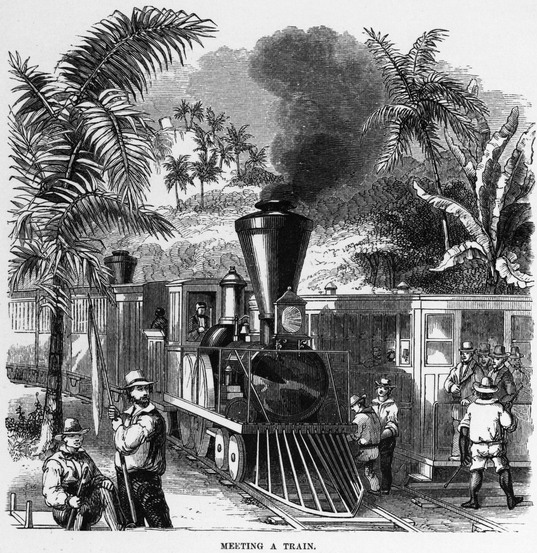 As the company grew, the company name changed from Harkness; to Harkness, Moore & Company; to Moore & Richardson (when the company used the Name Cincinnati Locomotive Works; and finally to Robert Moore & Sons (but the company was unable to find buyers in the years following the war). 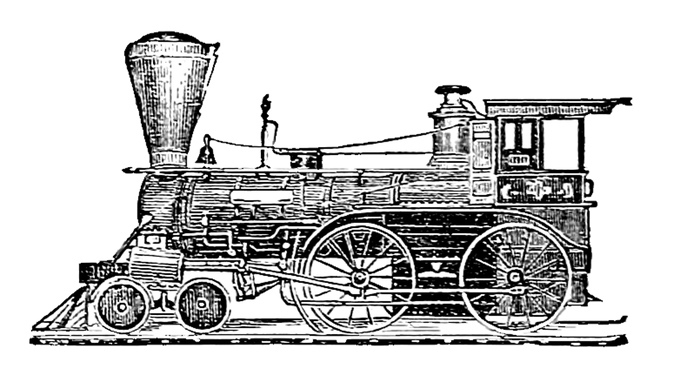 So, enough with the history and on to this cool vintage locomotive drawing. Unfortunately, it’s a simple engraving in a newspaper-like publication. That means the image works for a rubber-stamped sort of project but not one that wants a historically accurate representation of an 1853 locomotive. Regardless, I think it’s still a cool drawing. And, after over 165 years, it’s one that’s clearly in the public domain.